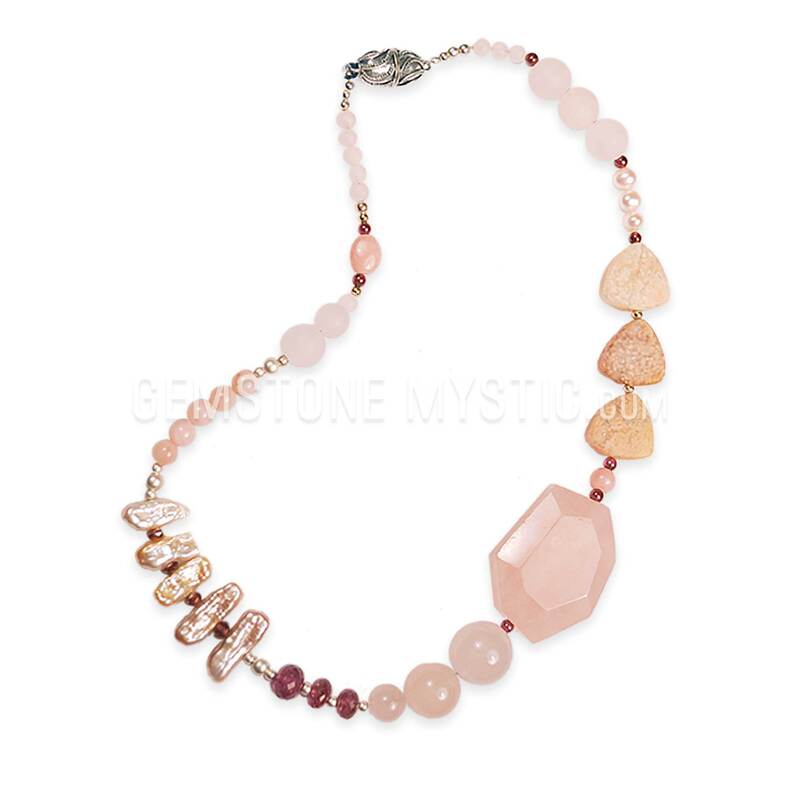 The Love Inspired necklace carries the properties of Fresh Water Pearl, Garnet, Pink Peru Opal, Pink Agate, Pink Tourmaline, Peach Moonstone, Pink Peru Opal, and Rose Quartz helps to open you to feel, recognize, receive and experience the inspiration and magic of love in your life. 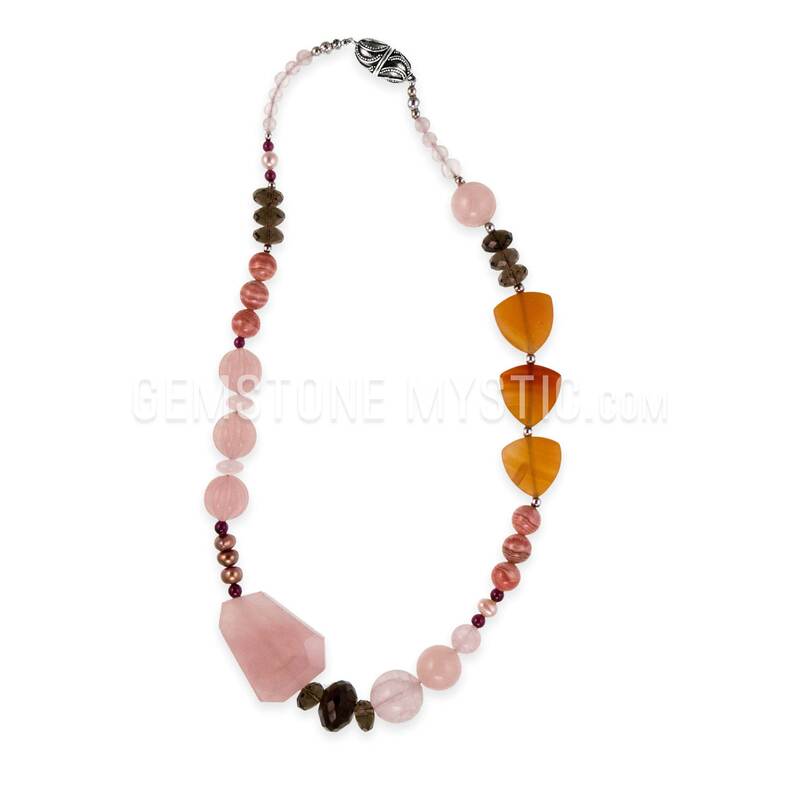 It connects you with the energy of love, happiness, and positive energy. 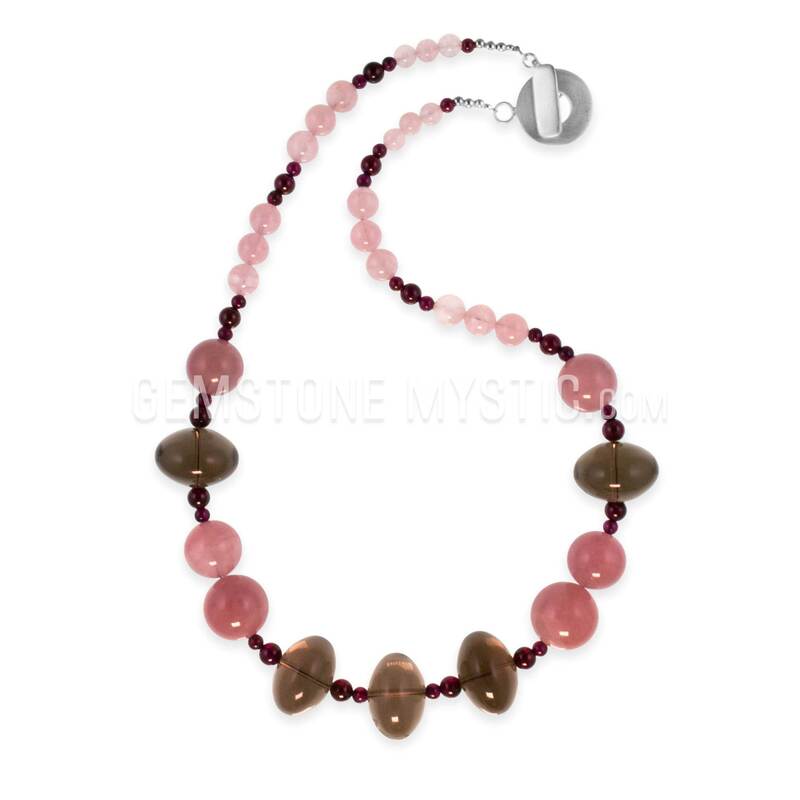 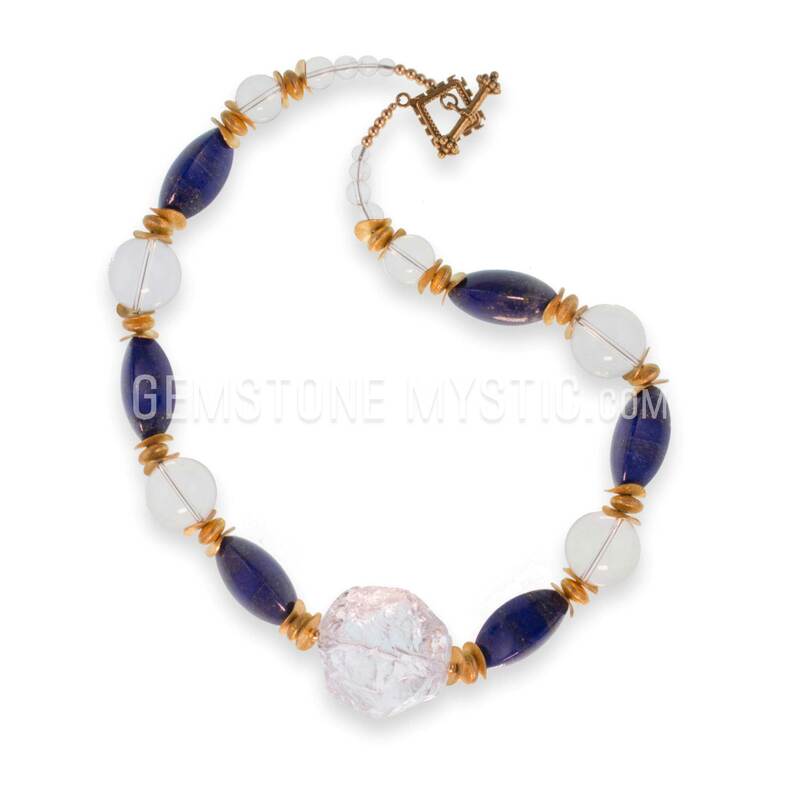 Then this necklace and each gem is vibrationally aligned and attuned to an elegant energy to help you recognize and receive the inspiring powers of love, joy, compassion, empathy, appreciation, and it surrounds you with the powers of love in all areas of your life. 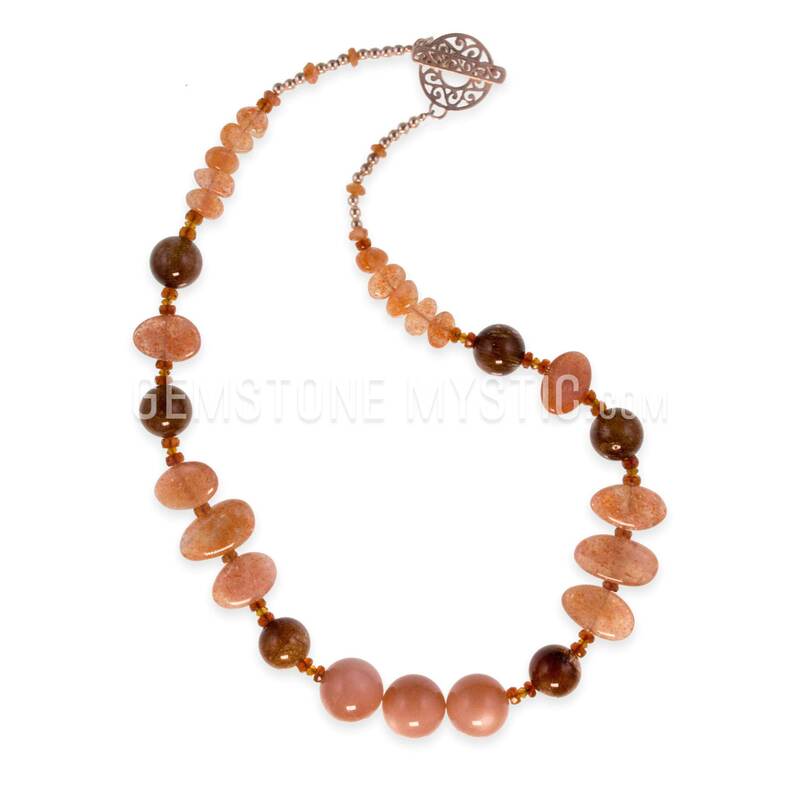 Love, Love, Love necklaces Brings the energies and fullness of love, opens your heart and mind to more, increase your own joy and understanding, provide more true self-love to help you embrace your soul.